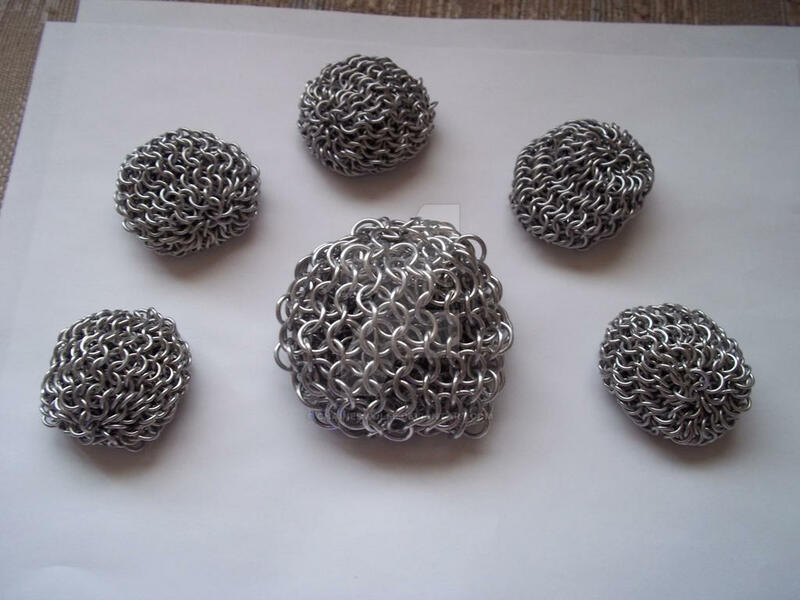 Chainmaille hacky sacks. Bright aluminum Euro 4-in1. These come in two sizes, standard and small. Small is the size of the typical sand bag. These are completely made of metal, including the fill. These are highly responsive while maintaining the ability to stall and do tricks. Not to full, not too flat. They are weighted similarly to standard hackies. $16 US for the small. $22 US for full size. 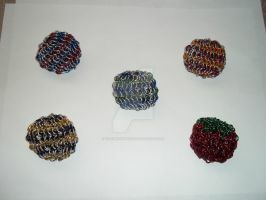 Partial and full-colour hacky sacks are also available.